Here is a summary of Selwyn District Council services and opening hours during Easter and Anzac Day. 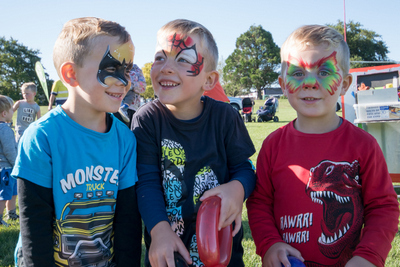 The summer has seen Selwyn communities come together to enjoy over 60 Council and community events. The Weedons Community Centre will be officially opened on Friday 5 April. Construction of the $830,000 facility began in May 2018 and was completed in December 2018. New projects are getting under way across Selwyn as part of the Council’s ongoing roading upgrade programme. Profiling our Selwyn Awards 2018 winners. Busy Bumbles, a locally owned after-school care business took out the Small Business Award. Residents who are on the Kirwee water supply are advised to begin boiling water. Over 60 keen competitors and supporters participated in Sunday’s highly anticipated Summer 3X3 Basketball Jam, a new event for Summer in Selwyn. Yulia and her daughter Elina, from Russia’s far east, were two of the Selwyn residents who received New Zealand citizenship at a ceremony in Rolleston this month.